Now I’ve found the bream they are spawning! There I was fishing the same swim again from where I caught the double last week. What a surprise! I had fished the wrong swim for 4 nights. It was unbelievable that it used to produce on a regular basis in the past. I won’t dwell on this and move on. Dan and I had spotted a great gravel spot a couple of weeks ago from the boat. We had feed it with bait and it certainly gotten a lot larger with the fish and bird life feeding o the spot. Now t’s the thorny subject of bait presentation and bait that has taken a back seat. 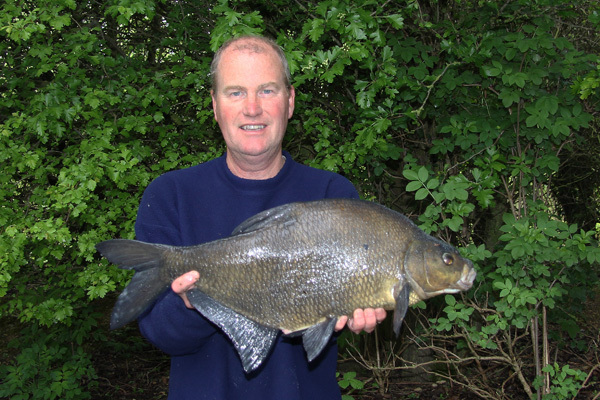 I’m no bream expert as this is the first season after these beautiful fish so what do I know? I’ve had some advice from Dan about method feeder etc and then moved on to helicopter rigs. So here goes. 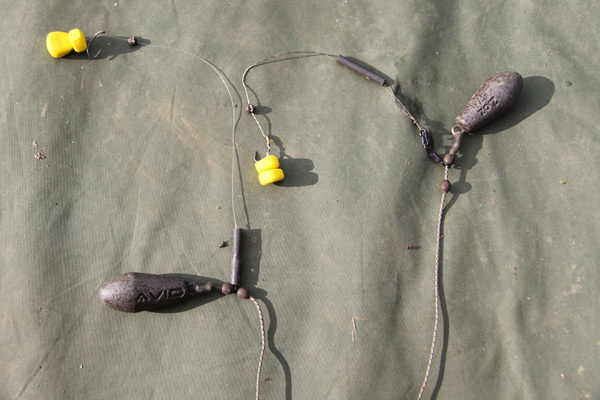 I use a 2oz lead with a helicopter rigs baited with plastic sweetcorn. I use braid and fluorocarbon hooklinks with plastic corn. Here are a few examples of the hooklinks. 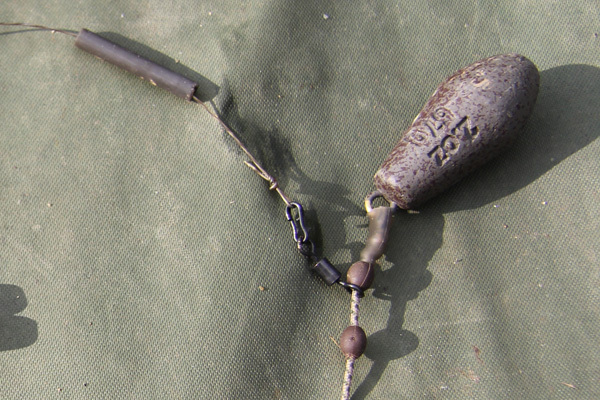 They are 2oz leads and lead core to sink the line around the hook area. So this more importantly is dipped into the most acquisitive and attractive component that just tempts fish to feed. I’ve kept it on the back burner for a while. It was Dan who suggested it to me and from here on I’m hooked. Or at least the bream and tench have been. The magic ingredient to my popped up sweetcorn, is this secret ingredient. Here I was building some steps into the swim, as the very last time I nearly tripped head over heels on the rods when I had a bite. There is plenty of uneven spots and I thought it best to build something to protect me and others who will fish it. After 2 hours and much work with a disabled wheel barrow that bumped it’s way over the 100yds. No air in the wheel but builders expanded foam in the wheel. However I was more than grateful. 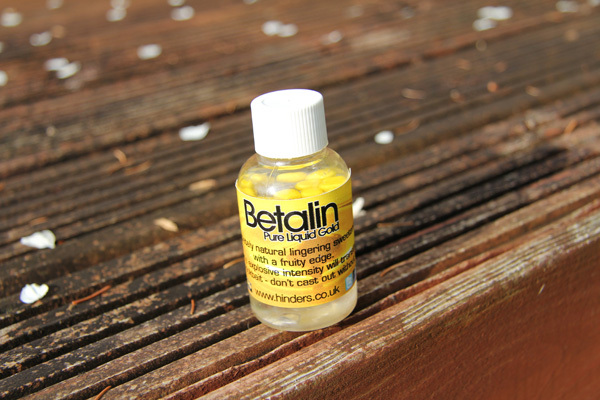 The first night fishing saw me put out 3kg of Bailey’s No 1 2 kg of betaine pellets (3mm) and a good 1 kg of maize into the swim via the boat, the gravel area was continually expanding and it was easy to see where the spots were. 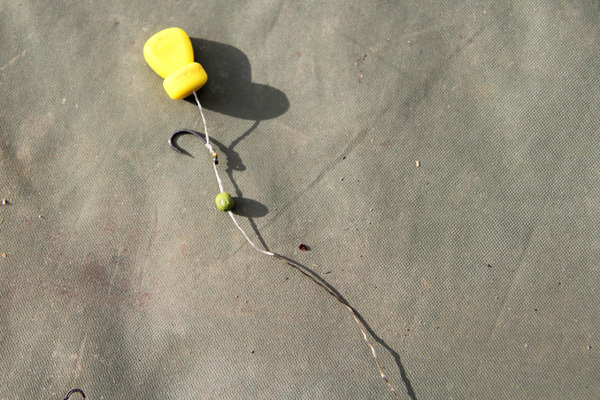 I cast out with the plastic sweet corn rigs onto the spots of gravel that were now at 16, 17 and 18 yds. The normal 9.30pm liners started and then at 10.30 I had landed a small female bream that had spawned. The vent was elongated which showed that she had done the business. 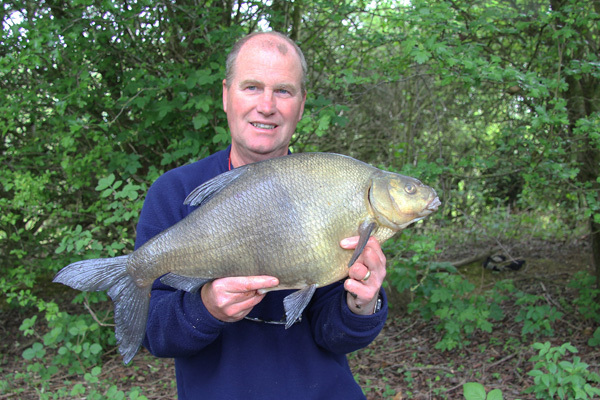 The next day was warmer and the water temp was 15c and the bream were spawning along a 100 yd stretch of the lake. The carp and tench were rolling and feeding on the eggs too. I’ve never seen this before. Again the same process of feeding was employed with even more gravel being uncovered where the bream and bird life clear the weed. Vince had come along to rake his swim further down the bank. We had a chat for a while before he left to see the football on the TV. We did admire the sunset though it was stunning. I cast out the rods with the plastic corn as bait. Hoping that the spawning mode would return to a feeding one. Sure enough the liners started at 9.30pm and at 11pm I caught a male bream covered in spawning tubercles. The take was a steady bobbin rise and then line being taken from the reel. The fight was not spectacular but at least it was 9lbs 3oz. The liners kept going and then I hooked another bream briefly before the hook slipped. The liners kept going until about 4.30am so not much sleep for me. Still more learning for me but I’m unsure whether I’ll be back up there in May. 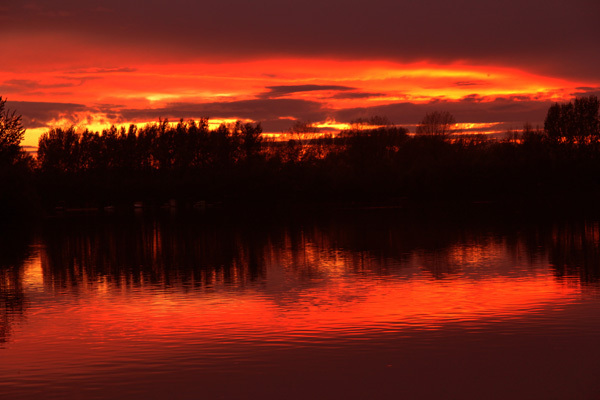 Next week I’m guiding on Horseshoe lake for tench, so lets hope the tench gods are with me. This entry was posted on Sunday, April 27th, 2014 at 7:05 pm	and is filed under Uncategorized. You can follow any responses to this entry through the RSS 2.0 feed. Both comments and pings are currently closed.